VITA 74 VNX introduces a new approach to rugged Small Form Factor (SFF) design. Its unique module-based format offers system architects greater freedom in developing COTS SFF systems. 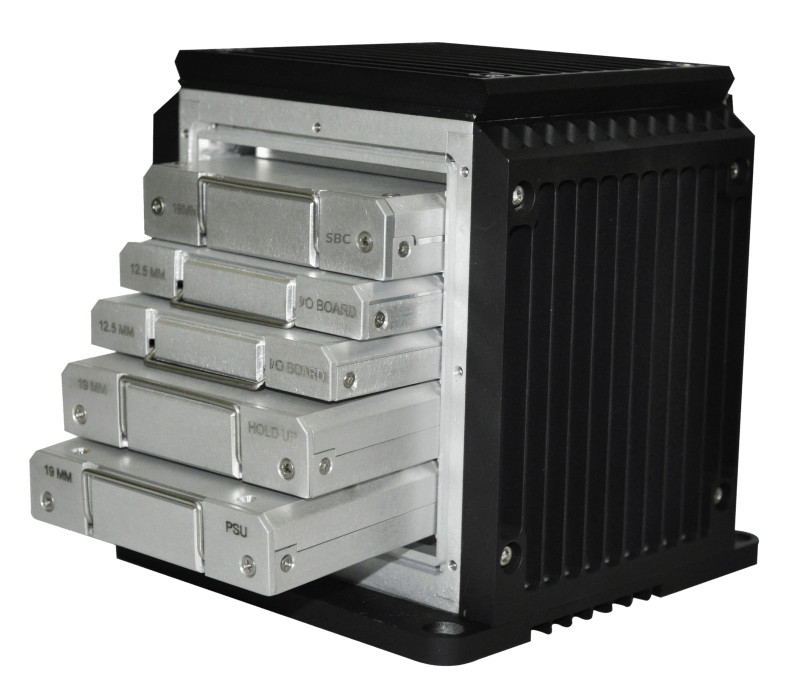 VNX's machined chassis, robust backplane, and conduction-cooled modules unite to form an extremely rugged assembly. Defining mechanical and electrical requirements, VNX embodies a small-scale VPX architecture, simplified to satisfy a new range of applications. The Standard encourages vendors to supply system components, including modules, backplanes, enclosures, and completed solutions. Building on the successful performance of VITA 57.1, VITA 74 VNX specifies high-density SEARAY™ Right-Angle connectors in 12.5 mm and 19 mm stack heights. These were chosen for their high-speed capabilities and rugged design. We're having trouble loading our YSF Test Reports. Please refresh the page to try again. If you continue to experience issues please contact ehelpdesk@samtec.com for assistance.